Now that we have your attention, do you seriously think Sydney Trains are actually capable of providing any better service than they have in the last 30 years? NO.. It's not possible. They're useless, trains run late more often now then 5 years ago. 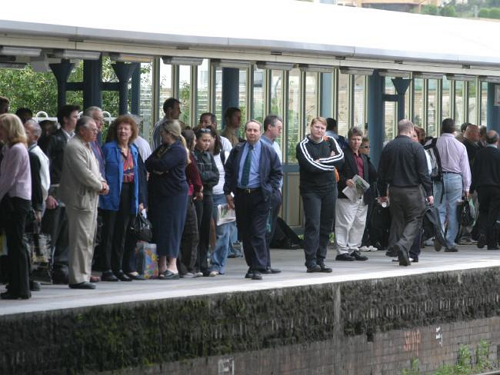 Sydney Trains and Opal do however want to increase the fare by 30 percent within 3 years. We're paying luxury coach prices for a service where we often cannot even get a seat, let alone any of the lux that luxury coaches offer. It's simple. If Sydney Trains want to increase the fare by 30 percent they better be coming to the table with a plan on offering 30 percent better service and value for money. After all tax payers OWN the rail network and trains not the government or a corporation that let it all go to their head. 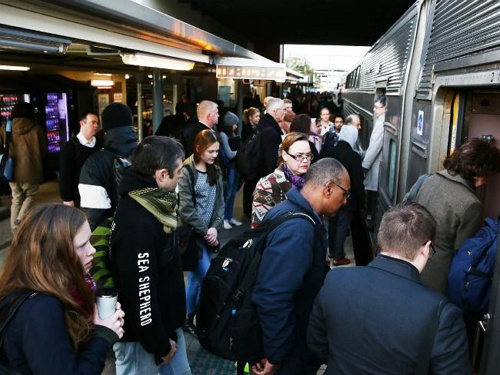 CENTRAL Coast rail commuters can look forward to fares rising by more than 30 per cent within three years if the State Government adopts a new Opal fare system. IPART released a draft report this week recommending increasing rail fares of more than 65km by an average of 12 per cent next year, up to 32 per cent in 2018. Off peak fares for distances in the 65 to 85km band would fall by eight per cent, but fares of more than 85km would increase by 10 per cent in 2016 and 34 per cent in 2018. A single fare journey in the 65 to 85km band in peak period will rise to $8.87 in 2016, $9.99 in 2017 and $11.12 in 2018. Other proposed changes include replacing the current Opal discount scheme where all travel is free after eight journeys, or when passengers spend $60 in a week, with a new "travel credit" scheme. Passengers would pay for all their journeys as they go and receive a credit at the end of the week so that they would end up only paying for their 10 longest journeys, up to a maximum of $65 a week. Opposition Leader Luke Foley said all regional rail commuters would be hit the hardest under the proposed changes which he claimed would see Central Coast commuters travelling to the city facing an increase of $260 a year. "This fare structure will sting people who rely on public transport the most, commuters travelling medium and long distances to and from the regional areas," Mr Foley said. NSW Transport Minister Andrew Constance ordered the review after commuters complained of being stung with extra fares when they had to change modes of transport. "This is a draft report from IPART and I'm urging customers to provide feedback to the regulator on its proposed changes to fare structures," he said. "IPART will provide its final recommendations to the Government next year." "The Government will assess the final determination when it's received, but in the meantime our priority is to help customers transition to Opal with most paper tickets to be phased out in the New Year." Submissions to IPART are open until 5 February. Any new fares will come into effect on July 1. We're drafting our submission to IPART and urge people to do the same, send them a simple letter giving them an ultimatum, increase fares by 30 percent and a visible 30 percent increase in better service and value for money or suffer the consequences.